MCITEDI, students spent the first four days getting introduced to OpenStreetMap, software, tools, and how they can use OSM data, with the last day for mapping and using the students' newly acquired skills to map a small area with selected features around Wairaka Trading centre, from which the students can improve the map of their community, and also find other useful means of applying maps in their own different ways. The mapping day was a well structured event which also included the presence of the Vice Chairman of Jinja District who highlighted mapping as a developmental aspect to the youth, the authorities, and employment opportunities. He advised Mweva to make linkages with the local government and authorities. In the afternoon, there was practical mapping around Wairaka trading centre to the on-line map, with new features that never existed before. MCITEDI administrators gave closing remarks and thanked all the participants and facilitators at the end of the event. The mapping day in Wairaka came at a time when six mapping days are to be scheduled in the Eastern Region. The best 3 mappers from MCITEDI will be invited to attend one or two of the six mapping days to be organised in the Eastern Region, and selection will be based on the edits that every person will make, using OSM quality assurance tools and other monitoring tools, interactions on social media, and any other new ways, ideas or projects that some of the students have applied with the skills they acquired. 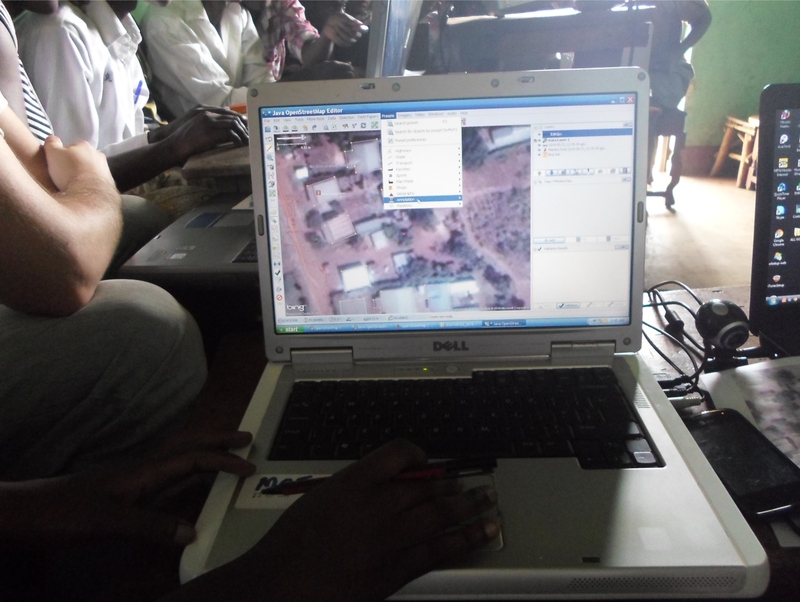 The students were also provided with the Learn OSM manual that they can use for further reference, and documentation.